Permit me a few moments of fangirldom: Pioneer Woman is coming to Charlotte in May! Willow Bird Baking reader Jennifer M. told me about it a few days ago and my family’s been all abuzz since then. I was bummed that she didn’t swing by this-a-way on her last book tour, so I’m pleased as a plum that she’ll be here this time around. My mom, dad, and I are already planning to make some t-shirts, grab some dinner, and make a night out of going to see her. Mike has politely declined, citing the possibility of standing in line for hours. His loss! Mmm, and is this mac and cheese creamy! It starts with a roux (cooked flour and butter), but actually isn’t that fussy. You add in some milk, dry mustard, and spices of your choice, cook until thickened, add your cheese, and voila: a rich, thick, creamy cheese sauce in which to dunk those little noodles up to their elbows (get it?). 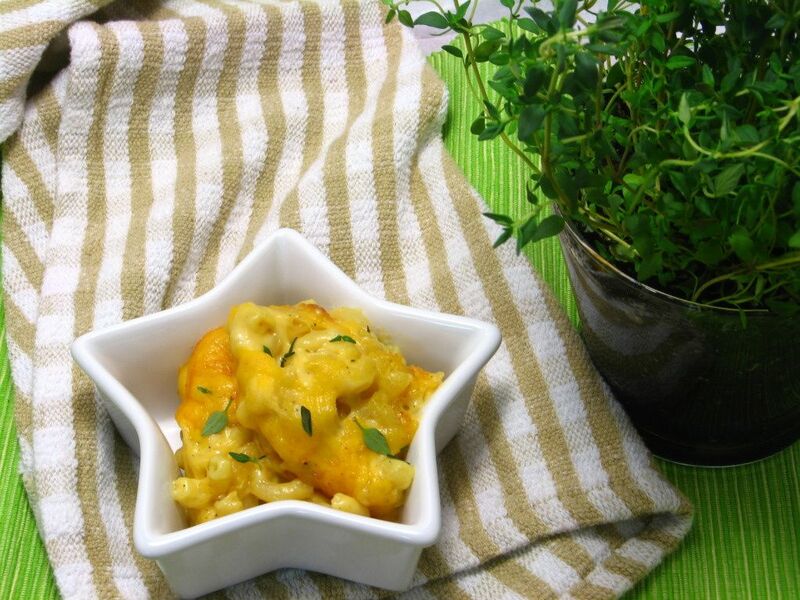 The creamy macaroni then goes into a baking dish, is topped with cheese, and bakes for 20-25 minutes. Pretty simple, very luxurious. 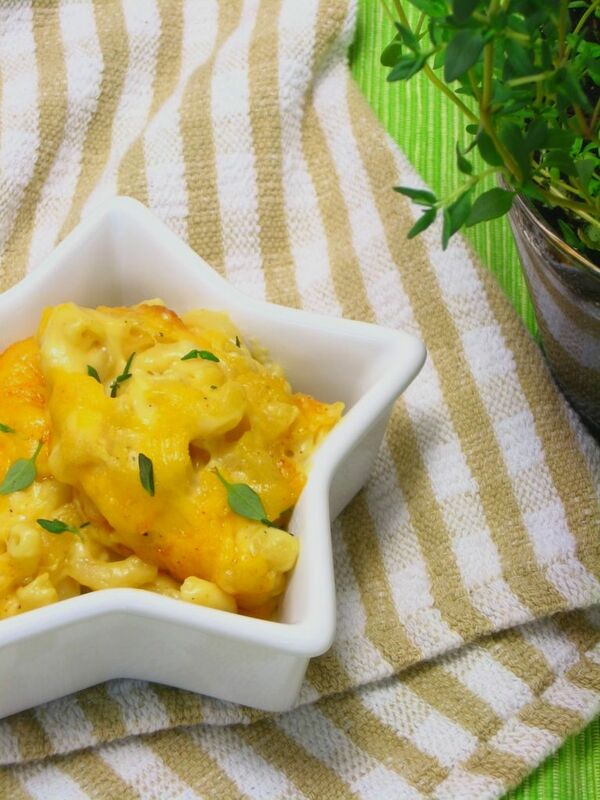 If you’re a creamy macaroni and cheese fan, this recipe’s for you. Just don’t undersalt! Pioneer Woman charges you with this command at least three times in her post, but I still undersalted mine. Go for it with that salt shaker! You don’t want to feel like you just took in a gulp of ocean or anything, but you do want to enhance the great flavors of the dish. Preheat oven to 350 degrees F. Cook macaroni until very firm. Macaroni should be too firm to eat right out of the pot (about 5 minutes). Drain. Pour in milk, add mustard, whisk until smooth, and turn heat up to medium-high. Cook for five minutes until very thick. Reduce heat to low. Temper eggs: Take 1/4 cup of the sauce and slowly pour it into beaten egg, whisking constantly to avoid cooking eggs. Whisk together till smooth. Pour egg mixture into sauce, whisking constantly. Stir until smooth. Pour in drained, cooked macaroni and stir to combine. 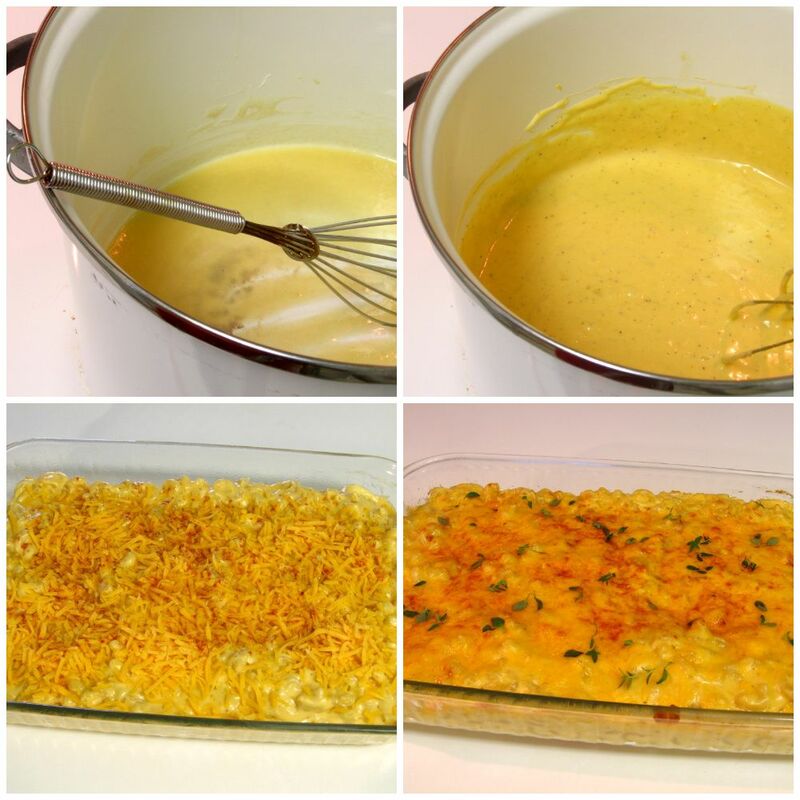 Serve immediately (very creamy) or pour into a buttered baking dish, top with extra cheese and a sprinkle of paprika, and bake for 20 to 25 minutes or until bubbly and golden on top. P.S. Looking for something adorable for Easter? How about Chocolate Chickie Cake Balls or Lemon Burst Fairycakes? Can’t beat homemade mac and cheese! I don’t know what you should say to the Pioneer Woman. I kind of feel the same way because Molly from Orangette is coming to the Boston area. I’m debating going to meet her and wondering what I would say. When I met Ruth Reichl, I was pretty much speechless and realized all these things I could have said afterward. I’m honored to see my name mentioned in one of your posts. Thank you! I’m so glad I could share such exciting news with you! I can’t wait to hear ALL about it! Ree listened to my daughter so attentively, it was as if Heather was the only person in the room right then. And then Ree thanked her for telling her that and said, “Keep cooking!”. It was such a sweet moment. First of all, I was so proud of my daughter for keeping calm and expressing her gratitude to Ree (yes, we’re on a first name basis now) in such a heartfelt way. And secondly, I was so thankful to Ree for being so kind to my daughter. That’s important to a parent! So tell her whatever you want! She makes everyone feel comfortable! 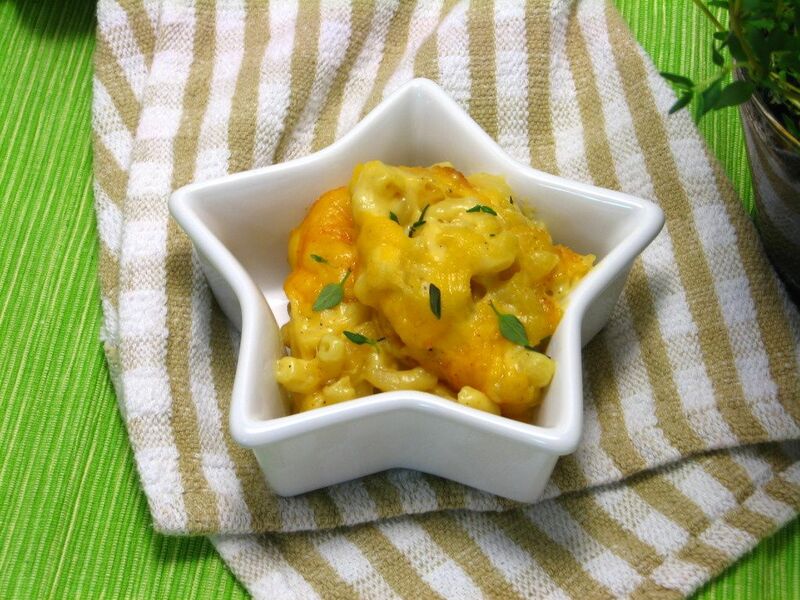 That Macaroni and Cheese looks delicious! It’s one of PW’s recipes that I haven’t considered making, but I will now! Yours looks great! That is SUCH a sweet story! She sounds like such a nice person!! Thanks, Jennifer! I met Ree at BlogHer and that was exactly what I did…gush, nervous laugh, and then I went ahead and added in a little bit about the big crush I have on her husband. Ha! She’s super nice and very easy to talk to, though. You’ll love her! Isn’t he handsome?! Ha! Thanks for the reassurance, Karly! !